Garage Door Services Indianapolis: How Long Will My Garage Door Last? Garage doors are something that people tend to give little thought to. That is, until something happens to go wrong with their door. Having a garage door that won’t open or close can leave you stuck without your car or it can leave the items in your garage vulnerable to theft. Instead of finding yourself in one of these inconvenient scenarios, it’s important to think about your garage door so you can schedule the garage door services you need for your Indianapolis home. Scheduling regular maintenance will ensure that your door functions properly for as long as possible. If you’re wondering just how long your garage door will last, we’d like to go over some important information with you today in regards to that question, so keep reading! While garage doors may vary from type and design, the average door is generally created with a standard spring mechanism that is capable of 20,000 cycles. With this number of cycles, it is estimated that the garage door will last around 30 years depending on use, the climate, and the upkeep with regular maintenance. If your garage door happens to use tension springs instead of standard springs, you may only get about 5,000 to 10,000 cycles out of your garage, which would result in about 15 years of use. One garage door cycle is counted as opening and closing the door. You may be lucky enough to get 15 or 30 years of use out of your garage door without any maintenance, however, it’s not likely. If you regularly maintain your garage door, it is likely that not only will you prolong the life of your door, but you could also avoid repairs that are costly, such as issues with the springs, track issues, noise problems, and broken cables, just to name a few. 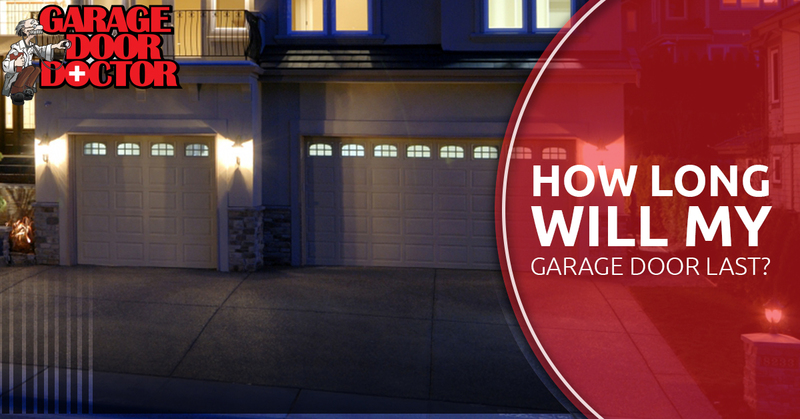 Don’t ignore your garage door and expect it to work perfectly forever. While we recommend that you have a professional come to inspect your garage for any problems on an annual basis, there are things you can do to help maintain the functionality of your garage. About every six months, use mild detergent and water to clean the garage door itself. This will help to protect the door from the damage that daily use and weather can cause. If your door has sensors that keep it from closing if there are objects or persons in the way, it’s important to clean the sensors with a cloth every few months, and keep the area clean near the sensors. Remove any cobwebs or debris that may have built up. You’ll also want to lubricate the garage door track and wheels every three to six months. You can either use a general-use penetrating oil or a graphite compound that you can spray. In order to keep your garage door running efficiently for as long as possible, you’ll need to take care of the needs of your door. If you are in need of garage door services for your home in Indianapolis, don’t hesitate to call us here at Garage Door Doctor. 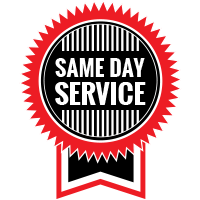 We also offer our services for the surrounding areas of Whiteland, Plainfield, Lebanon, and Franklin. We look forward to your call.